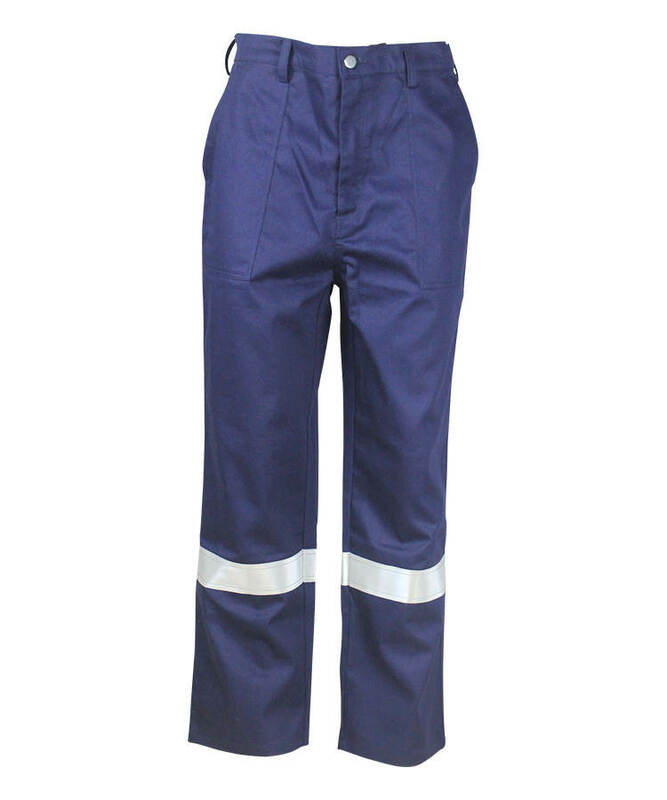 This khaki flame retardant anti static pants made of 280gsm 85% cotton 15% polyester flame retardant anti static fabric, and can meet EN ISO 11612, EN 1149-5, NFPA2112 and other standards. 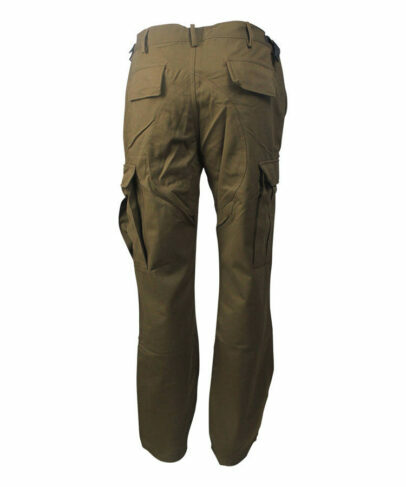 This khaki flame retardant anti static pants has self-extinguishing when leaving the fire, without molten drop, char length can be controlled within 10cm, and the flame retardant anti static pants can prevent electrostatic accumulation effectively, and release static quickly, soft touching, good strength, good wear resistant property. 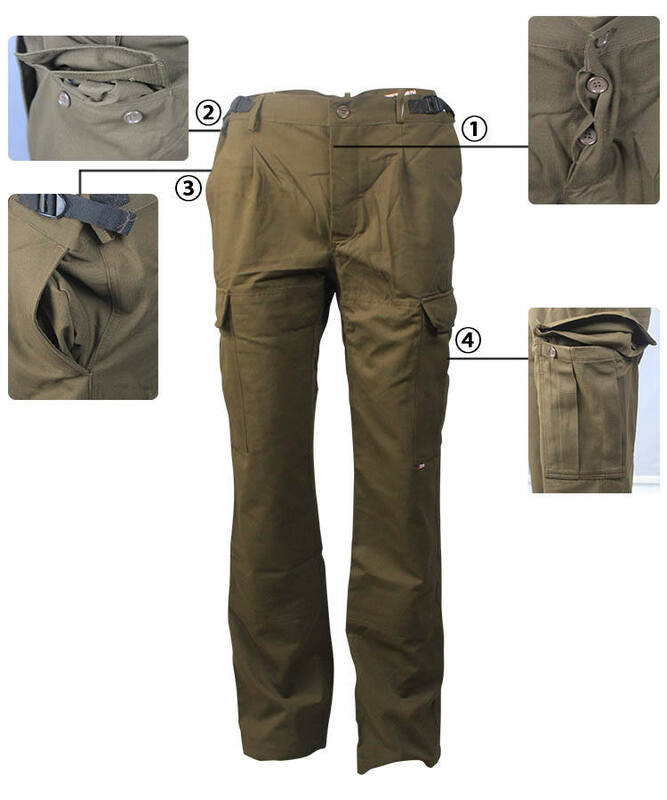 And this khaki flame retardant anti static pants also has good elastic both under dry and wet condition, stable dimension, small shrinkage, not easy to fold, easy to wash, fast drying. The front fly is double stitch, four eyes clasp closure. 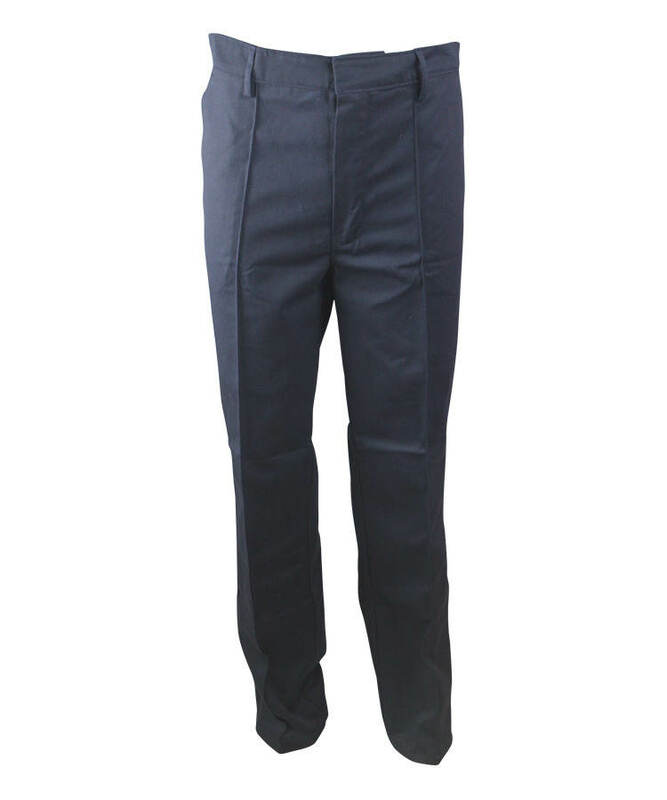 Pleat on hips, two bags + contrast color flap, there is double layer on flap, inside button eye locking with liner, every pocket have two four eyes clasp closure. Button is sealed after closure. There have one stereo bag+ flap on each side seam, closure method same with hip pocket. There have one active pleat on both side of front piece. 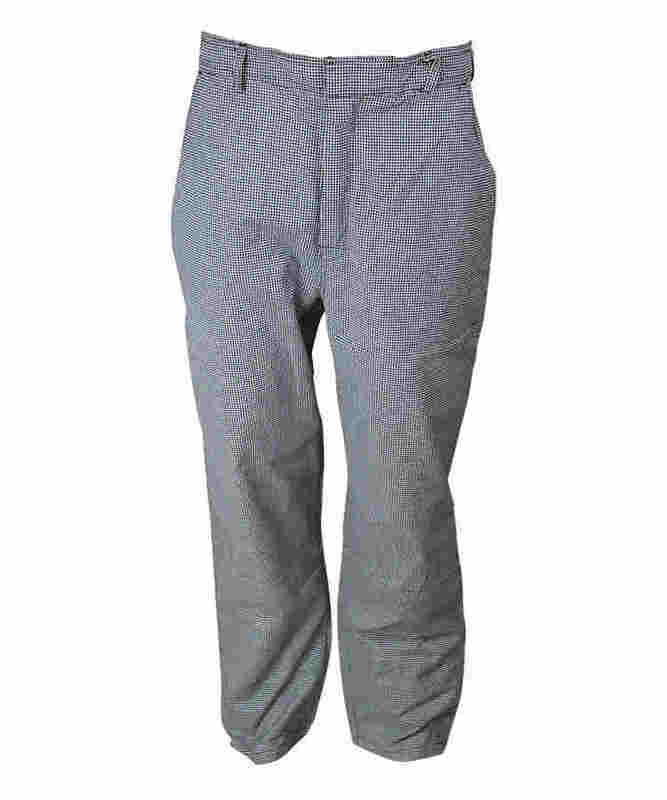 Pocket is side seam slant pocket. One liner from back rise to leg, reinforcing the wear-resistance in hips. 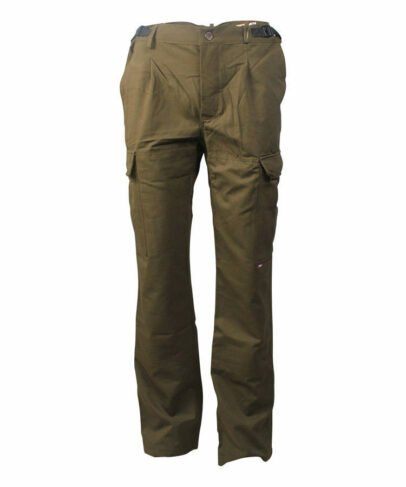 Double stitch on the seam connection of the khaki flame retardant anti static pants, increasing stress of reinforcement. 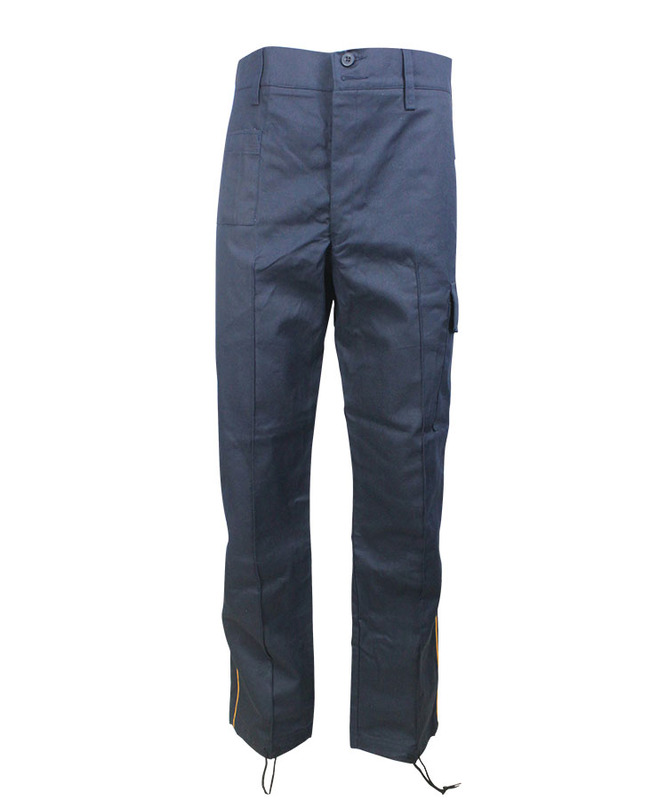 Seven pants loops, waist lab on each side of waist and using buckle to adjust the waist size. Bar tack on all the force bearing points.